WOW! We found 39 results matching your criteria. 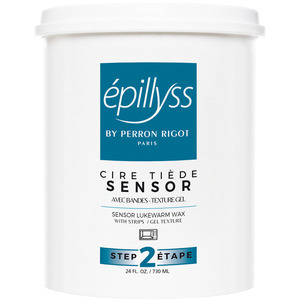 Epillyss is a complete waxing concept and truly an innovative brand. Epillyss wax is a pure botanical line, made from the purest basic ingredients, vegetal resin (imported from Portugal) and natural beeswax. The Bolero container is a key component of the Epillyss line. It's alloy, being composed of resin and fiberglass, is anti-corrosive and does not conduct heat. The Bolero container is very hygienic and it's anti-spill collaret allows you to keep your wax-heater clean. This collar also gives you an excellent stand for your spatula. 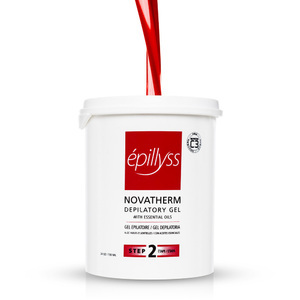 The newest innovation from Epillyss is the Bio-resine C3, which is the royal jelly of vegetal pine resin. This is obtained after three distillations. The Bio-resine C3 creates a vaso-dilating effect, allowing the hair to be removed much easier and less painfully. The benefits of this, is that the wax adheres less to the skin, acting like a shrink wrap around the hair, pulling them with much less trauma to the skin. This newest ingredient is found in Novatherm, Millenia and Chocolate Lukewarm wax. EPILLYSS Post Depilatory Serum with Plant Extracts / 1 oz. EPILLYSS Post Depilatory Serum with Plant Extracts / 7 oz.